Walking through the Hebron market, I dodged the head of a camel dangling from a chain. I love traveling through Palestine. 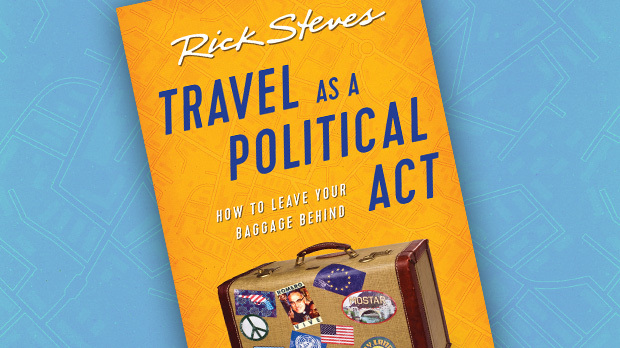 It's filled with vivid memories and startling moments. I had no idea the people of Hebron had a taste for camel. But I was told that people here appreciate a nice fresh camel steak because of their Bedouin heritage. And the butcher shops seem to follow that Bedouin tradition: They butcher whatever they have to sell and it hangs on their front porch until it's all gone. Today, with about 250,000 people, Hebron is the largest Palestinian city and the commercial capital of the West Bank. It's a commotion of ramshackle commerce as its population generates about 30 percent of the West Bank's economy. Just about an hour's drive from Jerusalem, it's a rewarding place to visit. 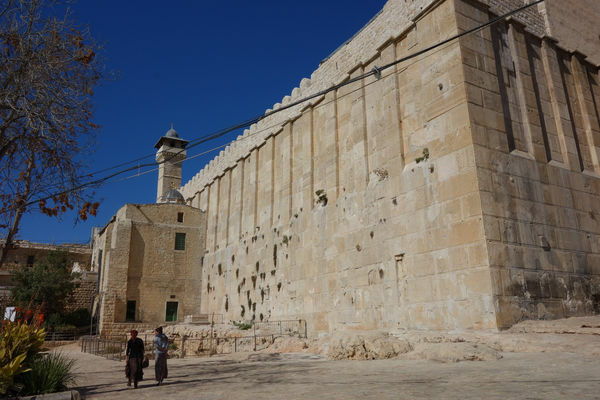 Hebron is an ancient city with archeological finds going back some 5,000 years. And for thousands of years it's been a city of great religious importance. In the hierarchy of holy religious cities, Hebron makes the top four for both Jews and Muslims. While the old town thrives with commerce, there is a palpable unease that makes just being here stressful. That's because Hebron is the site of the Tomb of Abraham — the great prophet and the epic father of both the Arab and Jewish people. Hebron is holy for Jews, Muslims, and Christians. And that's why sharing it peaceably is a challenge. Hebron feels like a thoroughly Arab town, except for a small community of a few hundred determined Zionist Jews who live mostly on the high ground in the town center. While it's not an easy place to live, they're driven by their faith, believing it's important not to abandon the burial site of their patriarch. And they're protected by a couple thousand Israeli troops posted here for their security. Sightseeing here was joyful and sad at the same time. The Arab market was a festival of commerce, but checkpoints, security fences, and industrial-strength turnstiles are a way of life here. Walking down Hebron's boarded-up "ghost street" was not enjoyable. Meeting Jewish settlers, so vastly outnumbered, I felt a sense of embattlement on their part. A no man's land (with pro-Israel political art decorating shuttered buildings) divides the two communities. Being here with our TV crew was tense. The tomb of Abraham sits on a holy spot under a Crusader church. Its foundation wall — which dates back at least 2,000 years — is made of "Herod Stones," quarried and cut during King Herod's reign. Each stone — like the Western Wall so beloved by Jews back in Jerusalem — has a distinctive and decorative carved border. Today, the building — called the Tomb of the Patriarchs because it houses Sarah, Isaac, and Jacob as well as Abraham — is divided to serve both Jewish and Muslim worshipers. The site, tragic as well as holy, is split because of its bloody history. In 1994, during the Muslim holy month of Ramadan, a Jewish settler gunned down 29 Muslim worshipers here and wounded another 125 people. Since then, the holy spot has been divided — half mosque and half synagogue — with each community getting a chance to pray at the tomb of Abraham separated by bulletproof glass. That horrific massacre wasn't the first. In 1929, local Arabs went on a rampage, killing 67 Hebron Jews and destroying Jewish homes and synagogues. More than 400 Jews survived the bloodbath because they were hidden by their Arab neighbors. I visited both sides. On the synagogue side, devout Jews gathered to study, sing, and pray among the tombs. When I was there, a group of soldiers, mostly recent immigrants, were visiting with a teacher to learn about their Jewish heritage. 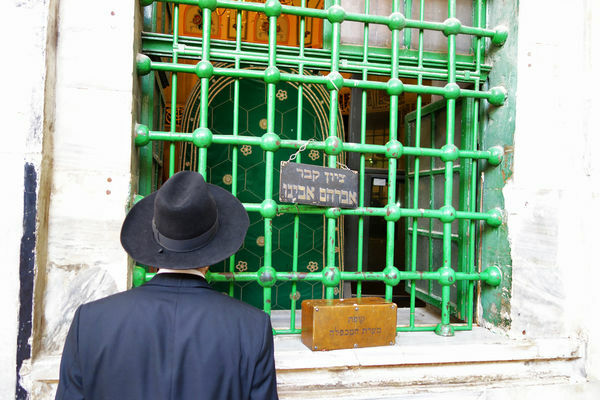 According to their faith, the Tomb of the Patriarchs marks the first Jewish possession in the land of Israel. Abraham purchased the burial plot almost 4,000 years ago as explained in Genesis 23. Each soldier took turns bobbing in prayer at the foot of Abraham's tomb, just a few feet and a bulletproof pane of glass away from another window where Muslims gathered to pray as well. On the mosque side stands a venerable "mimber" — a staircase from which the imam gives sermons. A standard feature in mosques, the mimber represents how teachers, spreading the word of the Prophet Muhammad to a growing number of followers, had to stand ever higher on a staircase to be heard. This one is a rare original from the 11th century made of inlaid wood with no nails, one of the oldest Islamic wooden pulpits in the world. And above the Muslim worshipers was the silent but very present Israeli security camera keeping a wary eye on things. Leaving Hebron, I wondered what Abraham would think about the inability of his feuding descendants to live together. In this land — so treasured by Jews, Muslims, and Christians — I'm reminded that the prophets of each of these religions taught us to love our neighbors. 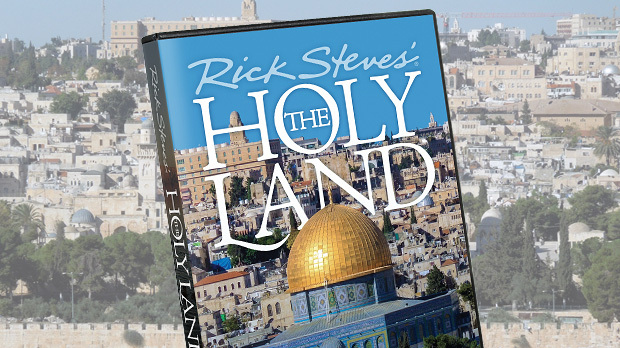 Here's hoping the lessons learned while traveling in the Holy Land can inspire us all to strive for that ideal.